How is the test monitored? - RedWolf Security Inc.
How is the test monitored? 3) Local requirements for OPS monitoring (e.g. who watches ISP’s routers, firewalls, load balancers, application servers) and what they need to record and how to record it. 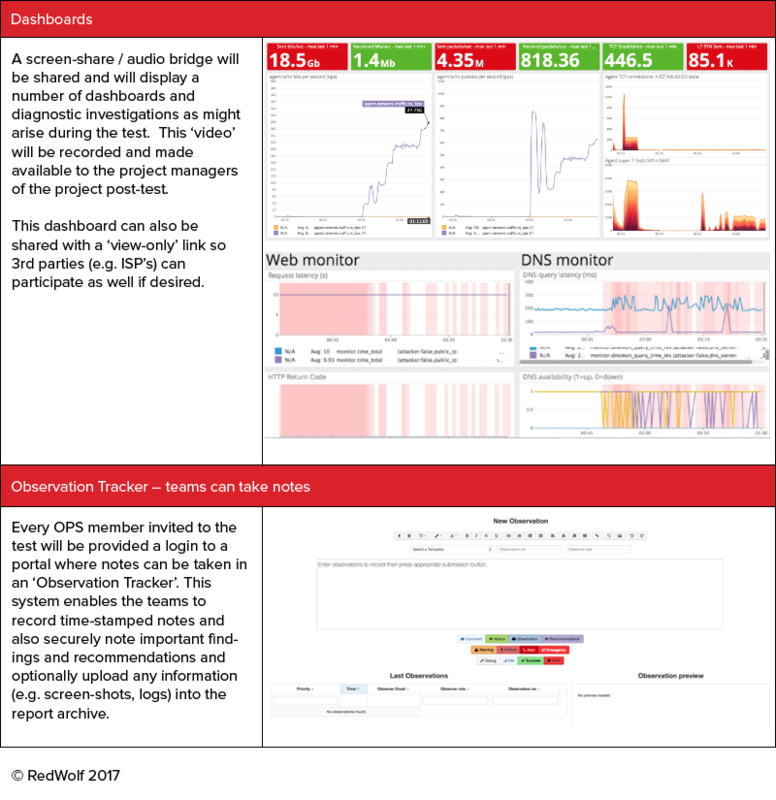 Also local OPS monitoring can be reported on in the tool via the ‘observation tracker’ on the portal. This is strongly recommended as all observations are time-stamped and can easily be correlated to the attack settings during the report/analysis phase. Note that all targets will also be monitored from several ‘good agents’ in the Internet. The results of this monitoring information is also included on the dashboards.